Getting a loan is often about trying to access funds as quickly as possible. 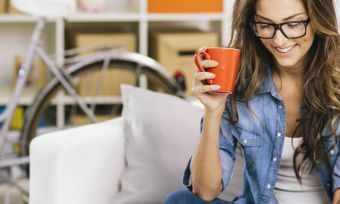 But, when it comes down to working out how to get a loan, it pays to know about the pros and cons of instantly going into overdraft versus taking out a personal loan. When people need to borrow money, they often want the cash fast. Being able to purchase goods directly from the store can be an advantage of a credit card or an overdraft. Getting a loan, such as a personal loan through a financial institution, however, is often a better option from a financial perspective. It can take longer to set up, but usually costs less in the long run. That’s because often there are fewer fees and the interest rate is lower. At the time of writing, personal loan rates range from 8.9% to 13.95% for secured loans, and 9.99% to 28.7% for unsecured loans, based on a loan amount of $20,000 over three years. These ranges are based on products on Canstar’s database. On the other hand, credit card interest rates range from 5.64% and 25.99%, according to Canstar’s database. Getting a loan through the bank means customers can contact the banking ombudsman for assistance if they are any issues with the lender. A personal loan is typically a one-off transaction with a structured repayment program. So you have to stick to regular repayments. Because repayments are fixed, borrowers can budget with more accuracy. If they buy more goods using a line of credit or credit card, their repayments can increase overtime. Don’t forget that a loan costs more than just the repayments – there are also fees and other charges. Secured loans give you a lower interest rate, but you risk losing the property you put up as security if you don’t make all the repayments. Unsecured loans have higher interest rates, so you might end up paying more in interest over the life of the loan. Make the process smooth and easy by gathering everything you need before you apply. In 2015, Canstar compared 9 personal loan providers, to give you a starting point. Compare rates and features, here. Before you take on additional financial obligations like a personal loan, you should always get some good financial advice. You need to work out a solid budget and know that you can afford to add monthly loan repayments to that budget. The good news is, 79% of Kiwis surveyed by Canstar Blue in 2015 said, “I feel that I am good at managing my own finances.” But, unexpected things happen to the best of us – don’t let yourself fall into debt because your budget was stretched too tight. Be aware when looking into how to get a loan, though, as there is often more than meets the eye with an “Interest free” personal loan deal. For example, you may have to pay an establishment fee and, if you don’t repay the loan in full by the day the interest-free period runs out, you will start paying much higher interest rates on the outstanding balance.